Alexander Trifonov is a Diploma Engineer in Telecommunication and Certified Management Consultant with 30 years' experience. He holds certificates and references from prominent Bulgarian and international organizations and companies as a result of successfully completed projects in the areas of metallurgy, transport machine building, innovation implementation and technology transfer, environmental management, renewable energy sources and energy efficiency, planning, financing and management of industrial zones, financial analysis etc. His extensive experience and qualifications are acquired through the realization of national programmes such as "Laser Engineering", "New Materials" and "High Tech". Mr. Trifonov has held various positions in the implementation of projects of the British Know How Fund and Phare. 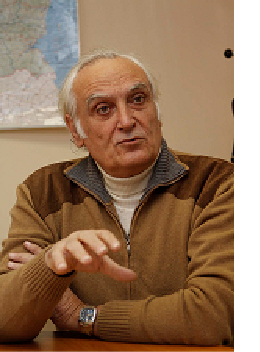 He is founder of the Bulgarian Association of Management Consulting Organizations (BAMCO), the Bulgarian Cooperative Union for Social Progress (BCUSP), NGOs in public benefit–the Organization of United Bulgarians (OUB), the International Academy of Bulgarian Knowledge, Innovations and Culture (IABKIC), the United Bulgarians for Sustainable World (UBSW). As a lecturer in the Institute for Public Administration to the Council of Ministers and expert to KRIB and the Technology Transfer Center at Sofia University "St. Kliment Ohridski" on public-private partnership problems, he has participated in a series of seminars and training courses aimed at public administration and business representatives in Bulgaria. He is author of numerous publications on public-private partnership, energy efficiency, power engineering and innovations. Mr. Trifonov has practical experience in implementing public-private partnership in the realization of investment policies of municipalities and in projects under OP "Environment" and OP "Regional Development". He is external evaluator and expert on monitoring of projects within the National Innovation Fund and Operational Programme "Development of the Competitiveness of the Bulgarian Economy". Mr. Trifonov is Certified Management Consultant (CMC) from the prestigious Institute of Management Consultancy, London, UK and the CMC certificate has to be defended and reconfirmed every three years following a certain procedure. Alexander Trifonov is a Member of EIRC Managing Board.